When it comes to providing high performance alloys (such as our range of INCONEL®, INCOLOY®, NIMONIC® alloys) to the automotive industry, our in-house team’s experience and matchless expertise will ensure that everything we supply you, will meet with your rigorous industry requirements. We are at the heart of the latest advances in alloy development and performance, and we know that your business is reliant on the quality of our alloys to ensure the quality and promise of your motor vehicles. Environmental and end-of-life vehicle legislation has driven major car manufacturers and exhaust-system designers to specify particular high performance alloys in modern vehicles. 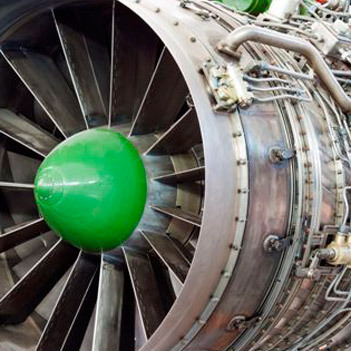 Coupled with the increasing demand for fuel-efficient engines and greater pollution controls worldwide, has create numerous areas of application for the INCONEL®, INCOLOY®, NIMONIC® and other high nickel alloys we supply. Exhaust valve heads and stems in NIMONIC® alloy 80A have been adopted by all the major valve train suppliers for diesel and petrol engine, whilst NIMONIC® alloy 90and INCONEL alloy 751 have been developed for specific engine applications. 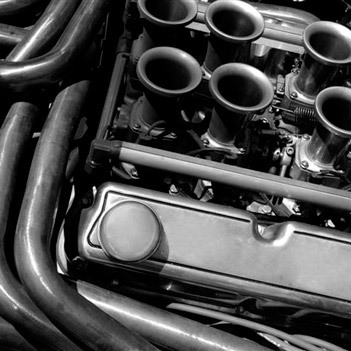 High-performance vehicles and motor sports engines use INCONEL® alloy 625, which is particularly suited to exhaust couplings and lower power vehicles use INCOLOY® alloy 864 as hot gas containment tubing. INCONEL® alloy X-750 is used to make engine valve springs. High nickel alloys are also used in ignition systems, sensors, safety devices and electrical and electronic switch gear. Your industry requires high-performance high-grade alloys, such as INCOLOY®, INCONEL®and MONEL® alloys, which can withstand being subjected to the highest levels of chemical and processing wear-and-tear. We know that your operation relies on it. From industrial furnaces to household goods like water heaters and toasters where electrical resistance materials are a prerequisite, nickel-chromium alloys such as those in the RESISTOHM® and BRIGHTRAY® SERIES are used for wire, ribbon and strip heating elements. As electrical resistance materials, these alloys have an extended lifetime under fluctuating temperatures, particularly when used in heating elements that are being continually switched on and off. Able to withstand temperatures up to 1150°C, the RESISTOHM® and BRIGHTRAY® alloys offers excellent resistance in reducing, neutral and oxidising environments. The BRIGHTRAY® series are used for starter and braking resistors in heating elements, locomotives and heavy engineering applications. INCOLOY® alloys and INCONEL® alloys, particularly INCOLOY® alloy 800, INCONEL® alloy 600and INCONEL® alloy 601 are effective additions to the electrical resistance series. These alloys are also oxidation and corrosion resistant materials, and are well-suited for service in extreme environments where they are subjected to pressure and heat. These electrical resistance materials have excellent mechanical strength and resistance at high temperatures and have a good surface stability. 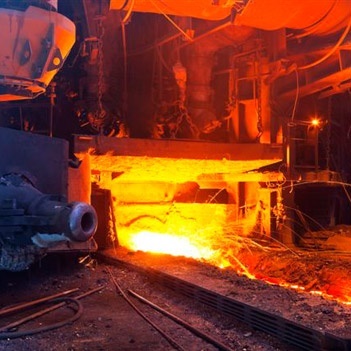 INCOLOY® alloy 800, INCONEL® alloy 600 and INCONEL® alloy 601 are used in with furnace furniture constructed in the same material for maximum resistance to the environment. 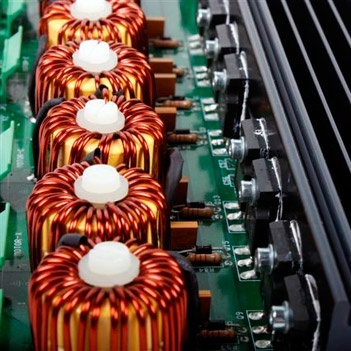 When it comes to electrical resistance materials, we have extensive experience regarding applications and can provide the latest technical information and performance data, as well as information on immediate availability and cost. Whether you are contemplating components for your heating elements or industrial furnaces, or would like to know more about our RESISTOHM® and BRIGHTRAY® INCOLOY® and INCONEL® alloys, email us on sales@corrotherm.co.uk and let’s get talking. 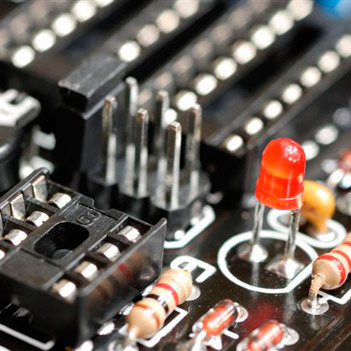 The world of electronics and communications is fast-paced and ever changing. To help you meet these changes and a multitude of market demands, we stock a wide range of nickel alloys. Well known in the industry, Nickel 270, NILO® alloy and NILOMAG® alloy 77 are used in the manufacture of anode plates, hydrogen thyratron components, passive cathodes, cathode shanks, plater bars, and transistor enclosures. As with all high-performance nickel alloys, Nickel 270, NILO® alloyand NILOMAG® alloy 77 provide corrosion resistance, stability, workability and strength at high and low temperatures. Nickel 270 is a commercially pure nickel, that is available in several grades. With features that include high thermal and electrical conductivities NIckel 270 is suited to electronic applications and is often used in electrical and electronics parts. Like most nickel alloys, NILO® alloy 36 possesses a very low coefficient of thermal expansion making it an ideal alloy for optical and electronic support systems in telescope and small laser applications. Another of our nickel alloys, NILOMAG® alloy 77 is used for oil field pressure management systems and aircraft pressure sensors. It's a low-loss, soft-magnetic alloy with an ability to capture and contain magnetic field emissions from computer equipment and antennae. NILOMAG® alloy 77 is particularly useful for applications in which power requirements must be minimised. If you would like to know more about our Nickel 270 and nickel alloys NILO® alloy and NILOMAG® alloy 77, or require expert cost-saving advice on material properties, testing and immediate availability, email us on sales@corrotherm.co.uk and let’s get talking. 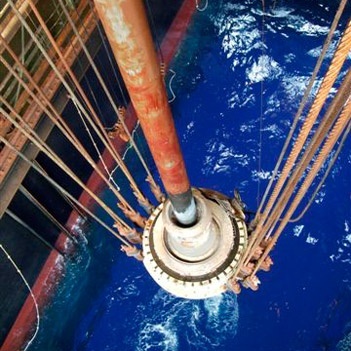 INCONEL® and MONEL® alloy products are used for their high resistance to corrosion in offshore platforms, as well as in power and process plants that use seawater as coolant. Alloys in the INCONEL series are often encountered in extreme environments. These super alloys are oxidation and corrosion resistant and well-suited for service in extreme environments. INCONEL® alloy 625 is an excellent choice for sea-water applications, as it is resistant to pitting and crevice corrosion and has high corrosion-fatigue strength, high tensile strength, and is resistant to chloride-ion stress-corrosion cracking. Used in wire rope, propeller blades, propulsion motors and sheathing for undersea communication cables, this versatile alloy has earned its place in the marine industry. Down-hole equipment, like hangers, uses another super alloy, INCOLOY® alloy 718 for its high strength and corrosion resistance. If you would like to know more about our INCONEL®, INCOLOY® and MONEL® alloys in marine applications, email us on sales@corrotherm.co.uk and let’s get talking. INCONEL® and INCOLOY®ranges to mining industry, where their ability to resist abrasion, oxidation and corrosion, makes them ideal for ancillary applications, where they subjected to pressure and heat, such as pumps, piping and separation machinery. 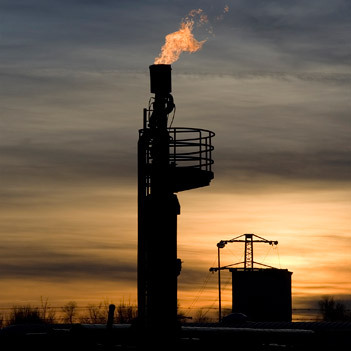 Their resistance to oxidising chemicals and high-temperature oxidising gases, means that alloys in the INCONEL series - particularly INCONEL® alloy 600, INCONEL® alloy 617, INCONEL® alloy 690 and INCONEL® alloy 693, are encountered in extreme environments. They are used in the manufacture of drilling equipment, as well as in the construction of downhole shafts. INCONEL® alloy 600 has the desirable combination of high strength and good workability. Resistant to corrosion by many organic and inorganic compounds, it is virtually immune to chloride-ion stress-corrosion cracking. 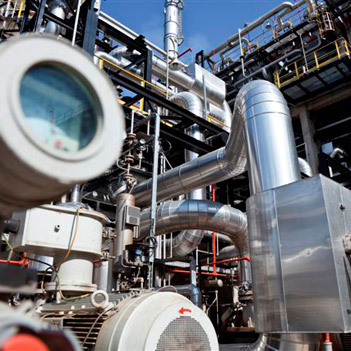 INCONEL® alloy 617 offers a combination of metallurgical stability, strength, and oxidation resistance at high temperatures, as well as being resistant to a wide range of corrosive aqueous environments. Commonly used in mining applications, corrosion resistant INCONEL® alloy 690 has high strength, good metallurgical stability, and favourable fabrication characteristics. Newcomer, INCONEL® alloy 693 has a high chromium content that gives it excellent resistance to oxidation and sulfidation as well as vastly improved resistance to other forms of high temperature corrosion. Another super alloy, INCOLOY® alloy 825, is used in shaped screening wires used to size mineral particles. Resistant to reducing and oxidizing acids, INCOLOY alloy 825 also resists stress-corrosion cracking and localised attack, such as pitting and crevice corrosion. 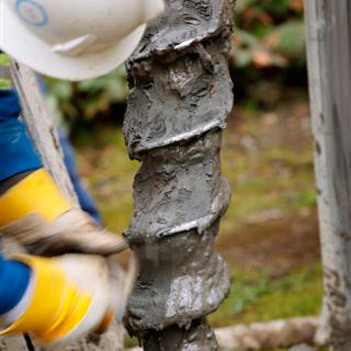 It is especially resistant to sulphuric and phosphoric acids, so can be found in oil and gas well piping. If you would like to know more about our INCONEL® and INCOLOY® alloys in mining, email us on sales@corrotherm.co.uk and let’s get talking. 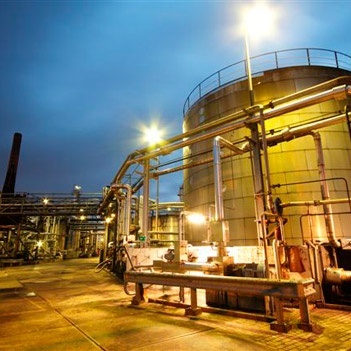 Designed for use in petrochemical, chemical and thermal processing applications, INCOLOY® alloy 803provides an exceptional level of high-temperature corrosion resistance in oxidation, sulfidation, carburisation and nitridation environments. In addition to preventing thermal distortion and embrittlement, INCOLOY® alloy 803 has excellent stress-rupture strengths and a high resistance to carburisation and cyclic oxidation. These characteristics combine to make INCOLOY® alloy 803 the material of choice for many severe applications, including ID-finned pyrolysis tubing in high-severity ethylene furnaces. 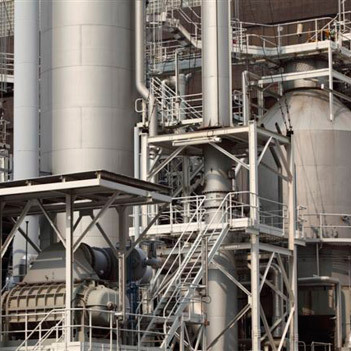 INCONEL® is widely used in pollution control and waste processing, where driving demand has brought about a need for high-performance alloy materials that can withstand hazardous waste management and aggressively corrosive environments. INCONEL® alloy 625 offers high strength, excellent fabricability and has superior resistance to a wide range of corrosive environments of unusual severity, including high-temperature effects, such as oxidation and carburisation. It is also resistant to pitting and crevice corrosion. INCONEL® alloy C-276 is also corrosion resistant in a wide range of severe environments. The high molybdenum content makes the alloy especially resistant to pitting and crevice corrosion. The low carbon content minimizes carbide precipitation during welding to maintain corrosion resistance in as-welded structures. It is commonly used in pollution control, chemical processing, pulp and paper production, and waste treatment. INCONEL® alloy 622 gives excellent resistance to both oxidising and reducing acid environments, as well as those containing mixed acids. It is resistant to pitting and crevice corrosion in acid-halide environments. This versatile alloy is found in chemical processing, pollution control, fluegas desulfurisation, waste incineration, and pulp and paper processing industries. 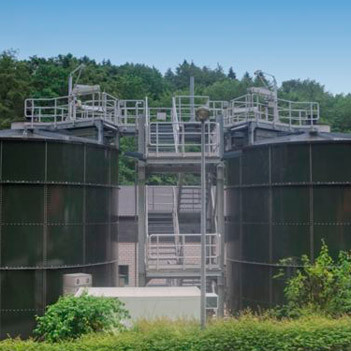 INCONEL ® alloy 625 and INCONEL® alloy 622 are also deployed in chlorine injection systems for waste water streams, whilst supercritical water oxidation technology has adopted INCONEL® alloy 625 as a preferred material in reaction chambers. They are are used for gas cleaning components, slurry systems and exit ducts. If you would like to know more about how our range of hard wearing INCONEL® alloys in pollution control and waste processing, email us on sales@corrotherm.co.uk and let’s get talking. INCOLOY® and INCONEL® alloyshave a wide range of applications in thermal processing. They show extreme strength and stability in high temperatures, and resistance to corrosion caused by intense furnace atmospheres. Applications include furnace components such as belts, hearths, muffles, radiant tubes and retorts plus the jigs and carriers used in heat treatment processes. INCOLOY® alloy DS develops a tightly adherent oxide film that protects its surface against corrosion processes. INCOLOY alloy DS may be heated indefinitely within the 600-900°C range without fear of ‘sigma’ phase embrittlement, and it is for this reason that it is used in a wide variety of high temperature process equipment. Temperatures such as the 1250°C found in ceramic tile roller furnaces, require INCONEL® alloy 600. The alloy is a standard material of construction for nuclear reactors. It has excellent resistance to corrosion by high-purity water, and no indication of chloride-ion stress-corrosion cracking in reactor water systems has been detected. For nuclear applications, the alloy is produced to exacting specifications. INCONEL® alloy 601 is resistant to oxidation at very high temperatures up to 1250C. Even under severe conditions (such as, cyclical heating and cooling) this alloy has a tightly adherent oxide layer that resists spalling. INCONEL® alloy 601's resistance to carburisation is good. It is also resistant to carbon nitriding conditions. Commonly found in thermal reactors in exhaust system of petrol engines, INCONEL alloy 601 has good resistance in oxidising sulphur-bearing atmospheres at elevated temperatures. If you would like to know more about how our range of hard wearing INCONEL® andINCOLOY alloys in thermal processing, email us on sales@corrotherm.co.uk and let’s get talking.